ZTE Corporation together with SoftBank and Wireless City Planning, has successfully verified the 24-stream space division multiplexing technology by using Pre-5G TDD Massive MIMO 2.0 under the complex commercial network in Nagasaki, Japan. In this verification test, 24 terminals downloaded FTP data simultaneously at a rate of 956 Mbps on a 20 MHz bandwidth. This is the first practical test in a commercial network after ZTE's Pre-5G TDD Massive MIMO achieved the rate of 1.1 Gbps in the 24-stream field test in Shenzhen, China. Meanwhile, ZTE reached the first milestone with SoftBank in the Smart Life strategic cooperation project. The Smart Life project is an important strategic project of ZTE for post-4G networks, the preliminary phase of 5G networks, and even future 5G networks in the next 3 to 5 years. In this project, ZTE planed and discussed product solutions with operators, and verified innovative solutions under different application scenarios for the most advanced fields in the industry. The Smart Life project aims to enhance the overall performance of operators' networks and users’ experience and reduce per-bit investment costs, and therefore ensures that the operators' networks can easily evolve to 5G networks. SoftBank is ZTE's first pilot partner in the Smart Life project. The two parties carried out innovative research and development on the improvement of spectrum efficiency, 4G/5G network integration, mobile bandwidth, IoT, and Internet of Vehicles. In the first phase, both parties improved service experience under the mobile bandwidth scenario by applying 5G technologies in the 4G network and increasing spectrum efficiency. This 24-stream field verification by using Massive MIMO in the commercial network is a core function solution first achieved in the first phase. In the actual verification, 24 terminals downloaded FTP data simultaneously. Through the core space division multiplexing technology, the new-generation Pre5G TDD Massive MIMO ensures that each user exclusively occupies 20 MHz spectrum resources on a single carrier. In a commercial network, the average user data rate reaches 40 Mbps or above, and the cell spectrum efficiency is improved by 7.7 times compared with that of traditional LTE cells. 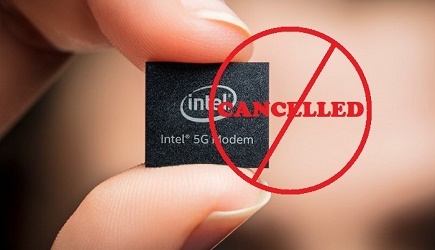 Therefore, on the aspects of cell throughput and single-user experience, the performance of Pre5G Massive MIMO is far superior to that of traditional LTE networks, laying a solid foundation for coping with the rapid increase of traffic in the future and smooth evolution to 5G networks. In 2014, ZTE first proposed the Pre5G concept and a series of solutions, which are intended to apply key 5G technologies in 4G networks in advance and build a comprehensive road for the evolution of 4G networks to 5G networks. Using a combination of technologies (such as Giga+ MBB, Massive IoT, and Cloudization), ZTE can help operators evolve 4G networks to 5G networks. In July 2015, ZTE and SoftBank officially signed a MOU on joint Pre5G research and development in Tokyo, Japan. In September 2016, SoftBank launched the "5G Project" and announced that it officially put the Massive MIMO technology into commercial use as the world's first operator with ZTE as its main partner. In March 2017, ZTE and SoftBank officially signed a MOU on the Smart Life project in Barcelona, Spain. Through the Smart Life project, ZTE will collaborate with more operators in cooperative planning and joint innovation in the future. ZTE will provide innovative 4G/Pre5G/5G solutions, help operators build better communication networks, support the service requirements in network evolution, and maximize the value of communication networks. With 4G and future 5G networks gradually penetrating into all aspects of daily life and society, smart life will be truly realized to make daily life more intelligent.